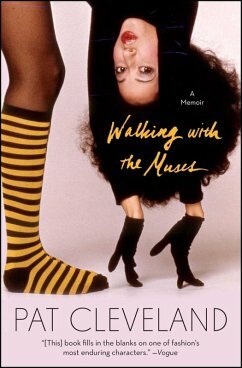 "Taking her reader through fifty years of fashion from the intersection of the Civil Rights Movement, the disco era's decadence, and the grandeur of Hollywood's late 70s renaissance, Cleveland provides a glimpse at some of design's most important moments—and her own personal history." —Vogue "Pat Cleveland is to fashion what Billie Holiday is to the blues; a muse for all ages." —Essence "This is a book that is highly recommended on multiple levels for many readers of many ages. You might even remove the fashion quotient and see it as possibly a twentieth century Cinderella tale or just a journey of a young woman in search of her dreams who let nothing stand in her way of achieving her ultimate goals." 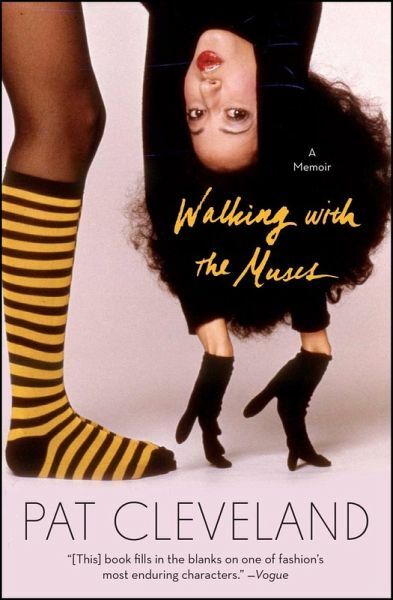 —New York Journal of Books Chronicling of the glamorous life and adventures of Pat Cleveland—one of the first black supermodels—this compelling memoir evokes the bohemian lifestyle and creative zeitgeist of 1970s New York City and features some of today's most prominent names in fashion, art, and entertainment as they were just gaining their creative footage. New York in the sixties and seventies was glamorous and gritty at the same time, a place where people like Warhol, Avedon, and Halston as well as their muses came to pursue their wildest ambitions, and when the well began to run dry they darted off to Paris. Though born on the very fringes of this world, Patricia Cleveland, through a combination of luck, incandescent beauty, and enviable style, soon found herself in the center of all that was creative, bohemian, and elegant. A "walking girl,” a runway fashion model whose inimitable style still turns heads on the runways of New York, Paris, Milan, and Tokyo, Cleveland was in high demand. Ranging from the streets of New York to the jet-set beaches of Mexico, from the designer drawing rooms of Paris to the offices of Vogue, here is Cleveland's larger-than-life story. One minute she's in a Harlem tenement making her own clothes and dreaming of something bigger, the next she's about to walk Halston's show alongside fellow model Anjelica Huston. One minute she's partying with Mick Jagger and Jack Nicholson, the next she's sharing the dance floor next to a man with stark white hair, an artist the world would later know as Warhol. In New York, she struggles to secure her first cover of a major magazine. In Paris, she's the toast of the town. And through the whirlwind of it all, she is forever in pursuit of love, truth, and beauty in this "riveting, celeb-drenched account of her astonishing life in fashion” (Simon Doonan, author of The Asylum).